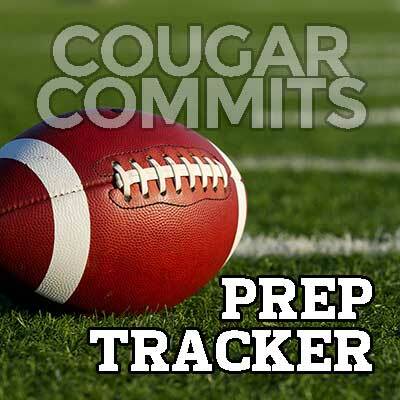 About half of BYU’s 24 verbal commitments kicked off their football seasons this past weekend. Notable performances include touchdowns by Tongi Langi (60 yard punt return) and Jackson McChesney (one yard rush). Game summaries for all commits are listed below. The Class of 2017 currently has 12 verbal commitments with five commits from Utah, two in California, two in Arizona, and one in Washington, Texas, and Georgia. 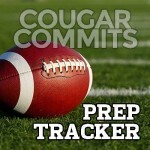 High school football started last weekend for the five commits in Utah as well as Tanner Baker in Georgia. Tanner Baker (TE/DE, Alatoona HS, @TBAKE32). Reigning 6A state champs Alatoona lost 14-30 to reigning 5A state champion Cartersville in their opener. TJ Buchanan (WR, Elgin HS, @BeastTj3). The Wildcat’s open their season on Thursday at Harker Heights. Bentley Hanshaw (TE/DE, Moorpark HS; @BentleyHanshaw). Moorpark opens their season this Friday with a non-conference game at Canyon. Jackson McChesney (RB, Lone Peak HS, @jackson21cheese). Lone Peak defeated Bountiful 31-13 in their home opener. McChesney had a one yard touchdown run despite playing with walking pneumonia. He finished with eight carries for 18 yards and the TD and two receptions for 30 yards. Season totals: 8 carries for 18 yards, 1 rushing TD; 2 receptions for 30 yards. Ryan Rehkow (K, Central Valley HS; @r_rehkow24). The Bears don’t open their season until September 2nd when they face off at Coeur d’Alene. Isaac Rex (TE, San Clemente HS, @Isaac_Rex1). San Clemente opens their season this Friday vs. Oceanside. Seth Willis (OL, Newtown HS; @seth_willy). The Nighthawks don’t start their season until September 9th when they face New Fairfield. The Class of 2018 already has nine verbal commitments. To put that in perspective, last football season we only had one early commit for the Class of 2017 (Jackson McChesney). Campbell Barrington (OT/DE, University HS; @Campbel33563194). The Titans open their season on September 2nd at Sandpoint (ID). The Class of 2019 currently has three future Cougs, and all three were in action this weekend.